L 2000 x 1223px 8 Mb. XL 6069 x 3710px 15 Mb. 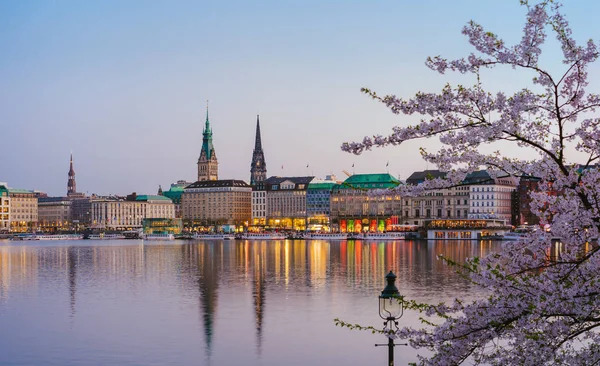 Beautiful panoramic view of Alster river and Hamburg town hall - Rathaus at spring earning evening during golden hour. Panoramic Banner shot.